A cocktail primer, chapter and verse. Still searching for a reason to leave the house on Sunday afternoon? Don’t be fooled by the pious play on words. Metropole’s Sunday School—hosted by Catherine Manabat, monthly at 4 p.m.—is a rollicking good time. 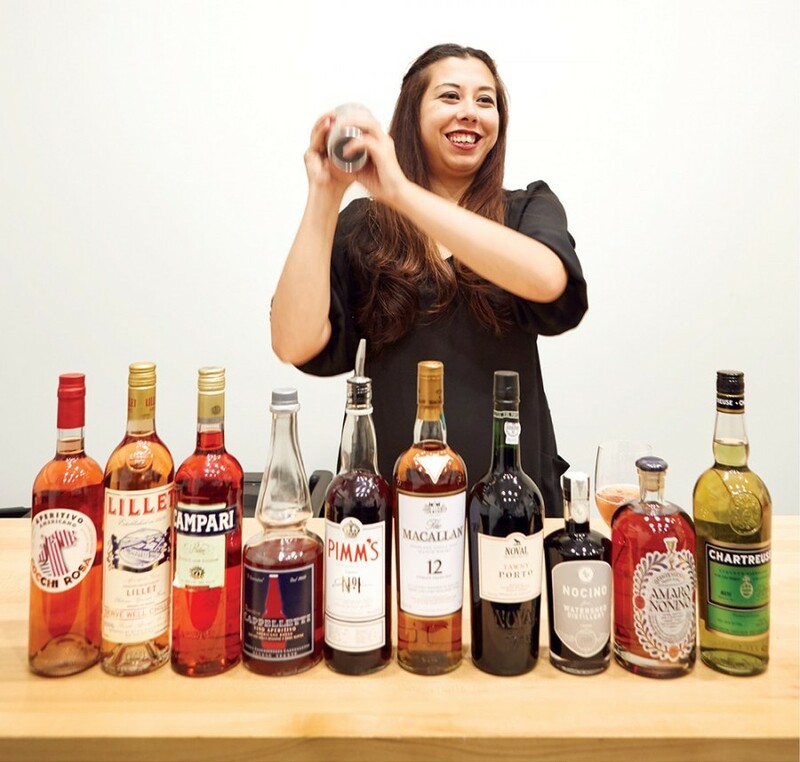 While she hasn’t managed to turn water into wine yet,the bubbly Manabat excels at demystifying industry dark horses (think Fernet Branca and Cardamaro) while dishing down-to-earth entertaining tips (Dolin Blanc over ice), and weighing in on current cocktail trends. 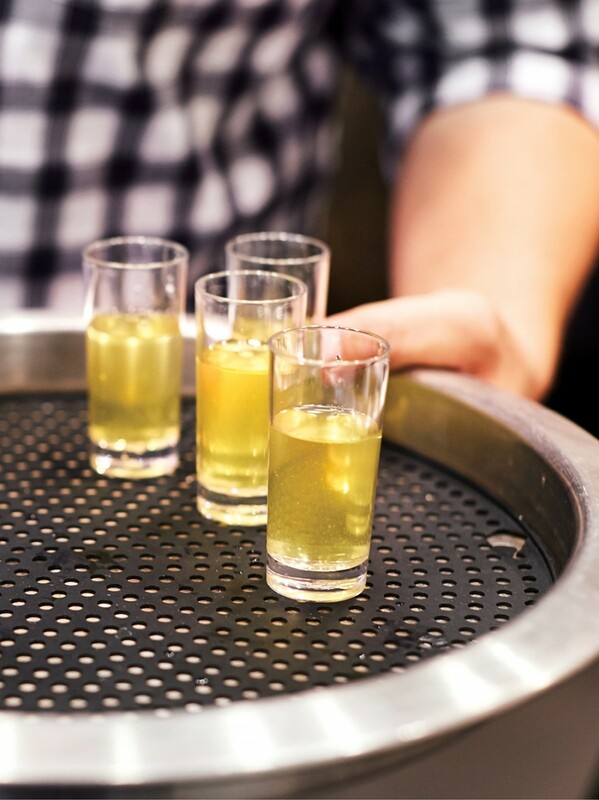 Despite a devoted-drinker following, newcomers will quickly catch on as they sample adult beverages tailored to a theme. 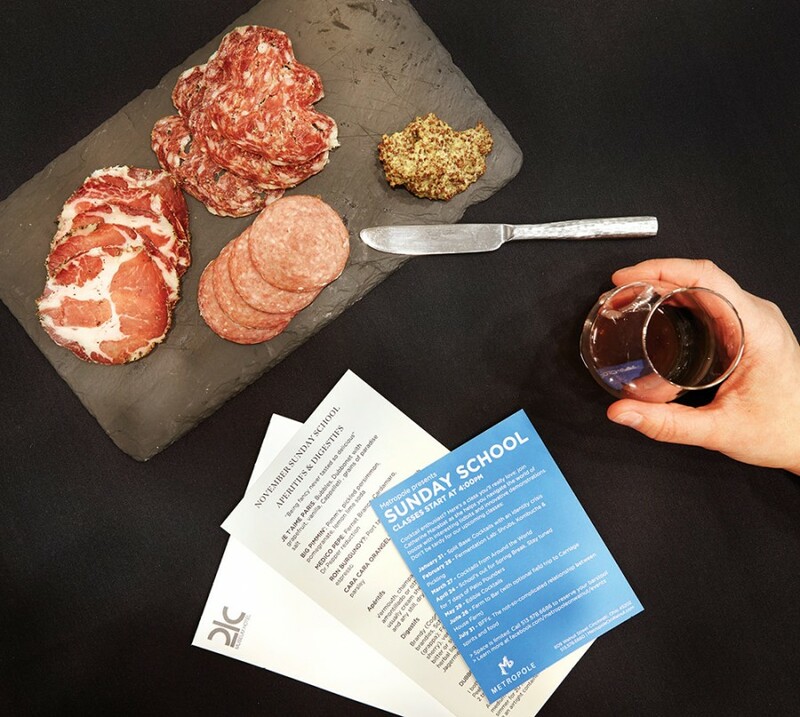 At a recent gathering dedicated to aperitifs and digestifs, Manabat mixed up big batches of Pimm’s with pickled persimmons, pomegranate, and Sprite, and walked students through orangecello production, Dr. Pepper reductions, and a surprisingly elegant, low-alcohol tribute to Ron Burgundy. Worried there won’t be nibbles? Rest easy. Enormous cheese, charcuterie, and pickle trays anchor each table and Manabat herself always bakes a take-home treat; we left with a small bag of Nocino blondies. While she’s no longer a regular presence behind the Metropole bar, Manabat remains dedicated to the classes. “We want to create a setting to try something new and have fun,” she says. “It’s about building trust and moving into the more obscure. Plus, it gives me an opportunity to keep learning.” Consider Sunday afternoon officially saved.